So instead of taking Kentucky’s greatest gift to cocktails for granted, let’s approach National Bourbon Heritage Month like one of those deprived Australians and dive in. Around 50,000 people are expected to attend the multi-day event Sept. 12-16. They’ll find tastings, seminars, a car show, golf tournament, art and three days of live music. 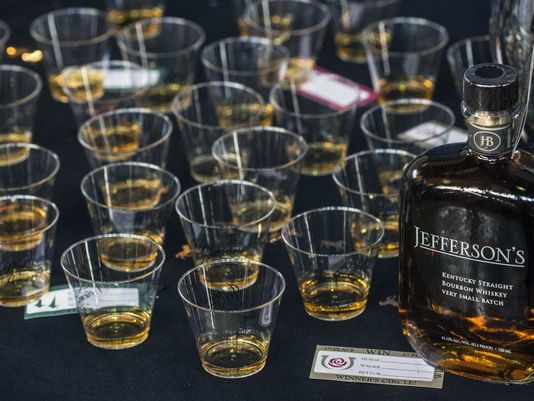 The festival, which began as a simple dinner party attended by industry heavyweights, has solidified Bardstown’s claim to be the world’s bourbon capital. Nearly 70 percent of the world’s bourbon is estimated to be made in or near Bardstown. 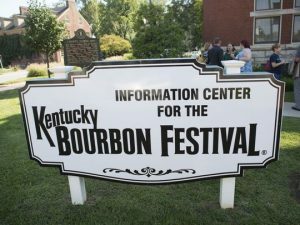 The state’s recent focus on bourbonism and the development of the Kentucky Bourbon Trail and the Urban Bourbon Trail were all developed long after the festival’s start, and Hawkins feels that the fest was ground zero. “We always say we celebrate the entire industry and we really mean it,” Hawkins said. Bourbon & Beyond‘s vibe is more mainstream rock with a retro twist, starring Sting, Robert Plant, John Mayer, David Byrne and Sheryl Crow. Louder Than Life is for metal and hard rock fans and stars Nine Inch Nails, Alice in Chains and Godsmack. The Urban Bourbon Trail is a team of local restaurants and bars that feature bourbon, sometimes a lot of bourbon, and they’re located throughout Louisville. On Saturday, a fresh new passport for the Urban Bourbon Trail will be released at the Louisville Visitor Center, 301 S 4th St., so stop by and grab one. 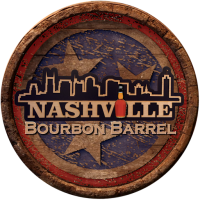 They’re free and you get an official Urban Bourbon Trail t-shirt once you fill it. On Sept. 20, the Louisville Visitor Center will host an Urban Bourbon Trail Night from 6-8 p.m.. They’ll introduce new members to the trail and give especially thirsty members a chance to fill their passport in one night, and because it’s National Bourbon Heritage Month, you’ll get a second free gift. The barbecue competition is 9 a.m. to 5 p.m. Sept. 8 in Clermont, Kentucky, where Jim Beam is made, and will feature distillers from around the state using their bourbons in the name of barbecue, putting “their meat where their mash is,” according to Beam’s hype. 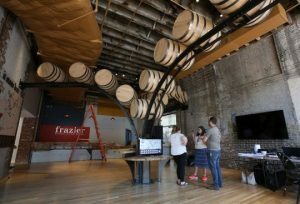 This is a much more fancy version of a Maker’s Mark distillery tour and it benefits APRON, Inc., a Louisville-based charity that helps service workers in the food industry. Held Sept. 13 from 5-8 p.m. at the famed Maker’s Mark Distillery in Loretto, Kentucky, attendees will get a tour of the distillery, a four-course meal made by five Louisville chefs, and an opportunity for a bottle of Maker’s they get to dip in the iconic red wax.